Home › FAQ › When Should You Apply For Financial Aid? Few students and their parents can afford the cost of paying for college out of pocket, which is why you might want to know when you should apply for financial aid. Financial aid refers to any type of support that you receive from outside organizations or the government that you use to pay for your education. With scholarships and other private packages, you need to look at the requirements and deadline for each program. If you want to apply for federal support, there are a few things you must know, including when to apply. 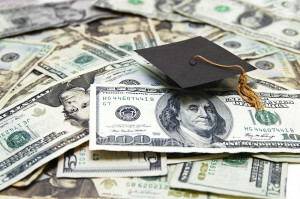 The two most common types of financial aid options for students today are grants and loans. Grants are financial aid packages that students received based on the amount of money that they or their parents can contribute. When you fill out your FAFSA, the government will use the income that your parents make to determine how much money you will receive. You do not need to pay back any money you receive as a grant. You must pay back federal student loans after graduation, and you generally start paying back those loans within six months after graduation. The government limits how much you can borrow every year based on where you are in your education. According to the Free Application for Federal Student Aid, students can begin applying for federal student aid on January 1 of the year they plan to start school. Students can apply for federal help up until the end of June that same year. Some students may also apply for financial aid help later in the year, but there is no guarantee that those students will be eligible for any help. When you should apply for financial aid depends on when you want to start school. You generally want to apply as early in the year as possible to secure funding. To apply for student financial aid, you need to complete and submit the FAFSA. You can now do this completely online, but you will need copies of your parents’ most recent tax returns. The government views you as a minor dependent as long as you live with your parents or they claim you as a dependent on their taxes. If you are an independent minor, married, in the military or meet other criteria requirements, you can use your own financial information. Will You Need to Apply Again? Once you know when you should apply for financial aid, you may think that you never need to apply again. You actually do need to apply every year. If any circumstances change, including changes in the amount of money your parents make or your marital status, you might lose some of your aid or qualify for more aid. You will also need to apply again if you change schools. Make sure that you use the most recent tax information when you fill out and submit your FAFSA. Financial aid in the form of grants and loans can help you pay for textbooks, room and board or even your tuition. You can also use independent scholarships and other aid to pay for your remaining costs. If you find yourself looking at when you should apply for financial aid, keep in mind that you can fill out your information anytime after the beginning of January.